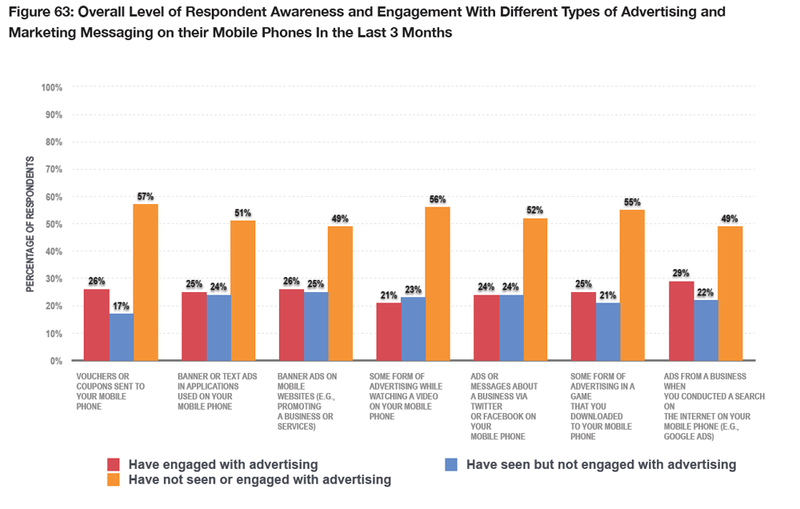 Mobile advertising is becoming more pervasive in the minds of phone owners, with around one in two now claiming to have noticed it, but the proportion who have engaged with mobile advertising has not increased in the last year, according to a study. The eighth ‘Australian Mobile Phone Lifestyle Index’, conducted by researcher Complete the Picture Consulting and industry body AIMIA, found that while the noticeability of mobile advertising had increased, only 54% of mobile phone owners had engaged with, or opened the link of, an ad. The study, which polled a sample of 1784 people ‘broadly in line’ with the 18-75 year old national population, looked at awareness and engagement with a number of advertising and message formats delivered via mobile. The number of mobile users who had seen or engaged with mobile advertising was strikingly similar across the different type of ad units. Each type has been encountered by around one in two of the sample, with search and banner ads the most commonly stumbled upon and vouchers or coupons the least widely noticed. Search ads were the most likely to be engaged with upon being seen and vouchers or coupons the least likely. The study also found that smartphone penetration could be higher than widely believed, at 76% – even higher than the lofty figure of 68% reported recently by Frost & Sullivan. While Maio Mackay admits the sample may skew towards residents of metropolitan areas and is reliant of self-reported phone ownership, the profile of participants is broadly in line with the ABS’ socio-demographic profile and RDA Research’s geoTribes, making the findings representative of mobile phone owners aged 18 to 75 years. Tablet penetration was also found to be higher than all previous reports at 38% of the mobile phone owning population aged 18 to 75 years. 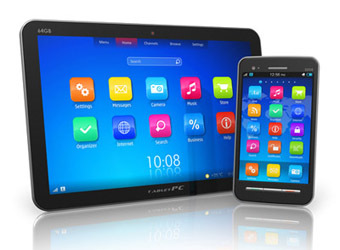 Maio Mackay says tablets ownership is growing rapidly, far quicker than smartphone penetration did, and forecasts that 50% will own one by December 2012 and 71% by mid-2013, based on stated purchase intent.